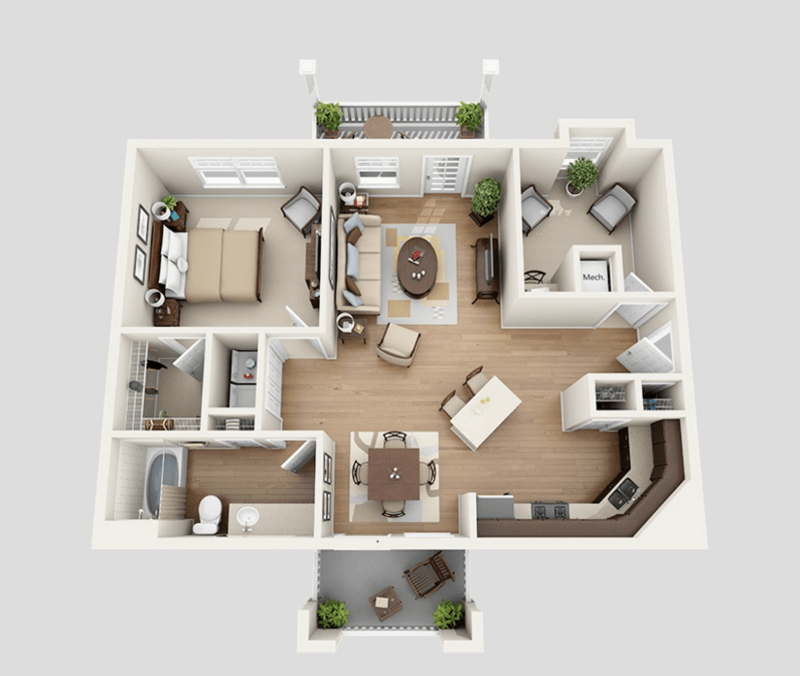 This beautiful layout includes granite countertops throughout the entire floor plan. 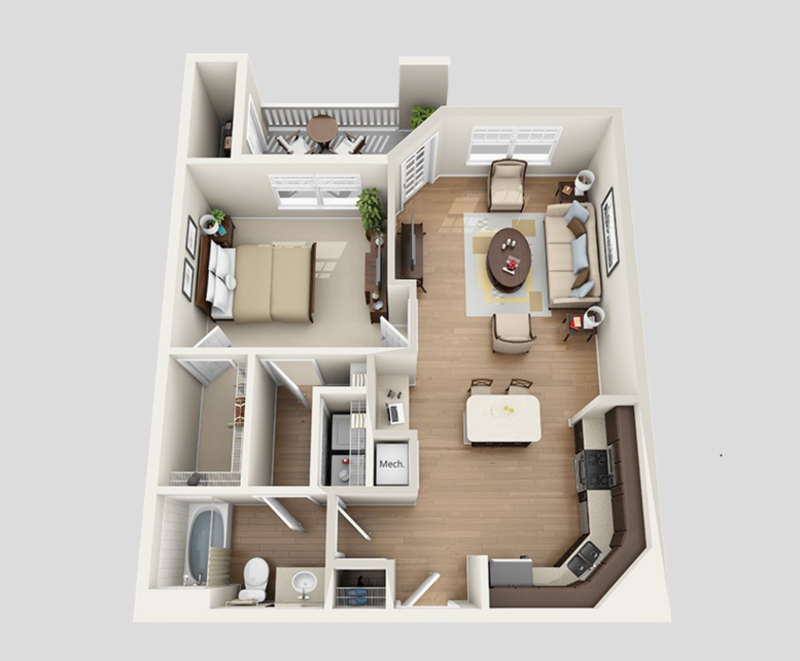 This one bedroom is complete with an elegant kitchen featuring a chef island, 9 foot ceilings, large soaking tubs, custom cabinets with clean steel appliances with space saver microwave, vinyl plank flooring, 2" custom blinds, and a ceiling fan in living rooms. Washer/Dryers in select units. This one bedroom home has a gorgeous walk-in shower, granite countertops throughout, and an elegant kitchen with chef island. Additional features include 9 foot ceilings, custom cabinets with clean steel appliances with space saver microwave, dining area, vinyl plank flooring, 2" custom blinds, and a ceiling fan in the living room. Washer/Dryers in select units. Granite countertops can be found throughout this beautiful one bedroom floor plan. 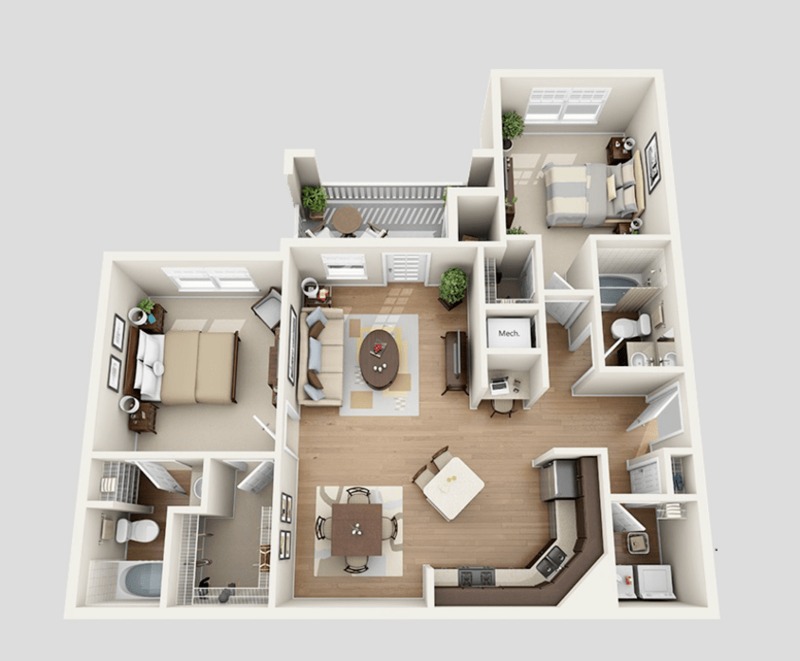 In addition, an elegant kitchen with chef island, 9 foot ceilings, large soaking tubs,custom cabinets with clean steel appliances with space saver microwave, vinyl plank flooring, 2" custom blinds, and a ceiling fan in the living room are also provided so you can live in luxury, Washer/dryer in select units. 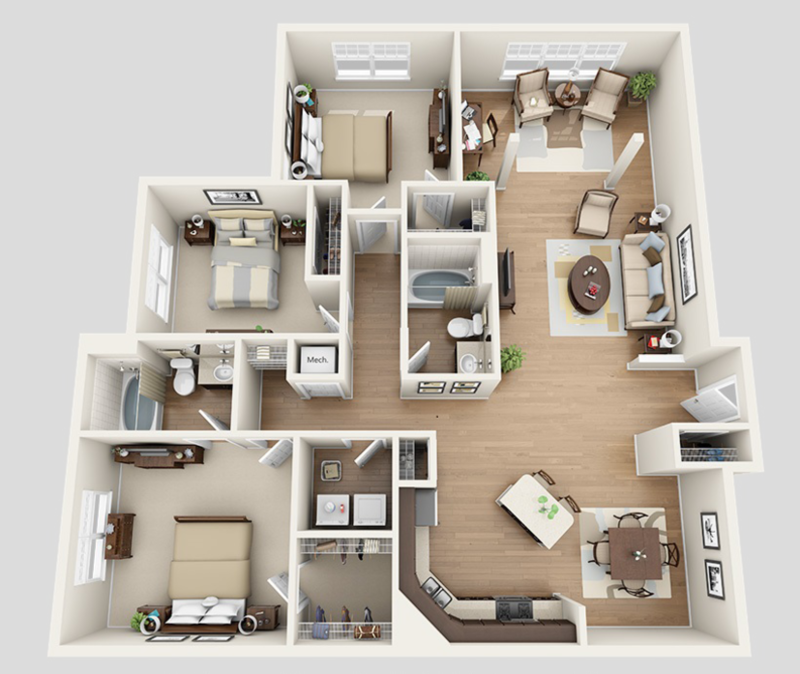 This is a carriage type one bedroom one bath unit with a den. This floor plan has granite countertops, elegant kitchen with chef island, custom cabinets with clean steel appliances with space saver microwave, vinyl plank flooring, washer/dryers in select units, 2" custom blinds, large soaking tubs, ceiling fan in living room, computer desk are in den. Vaulted ceilings, two balconies and lots of privacy. This beautiful floor plan features granite countertops throughout, an elegant kitchen with chef island, 9 foot ceilings, large soaking tubs,custom cabinets with clean steel appliances and space saver microwave, a spacious dining area, vinyl plank flooring, 2" custom blinds, custom computer desk area and a ceiling fan in the living room. Vinyl plank flooring throughout and washer/dryers are available in select units. This two bedroom home features granite countertops throughout, an elegant kitchen with chef island, 9 foot ceilings, and large soaking tubs. Custom cabinets with clean steel appliances with space saver microwave, a spacious dining area, vinyl plank flooring, 2" custom blinds, and a custom computer desk area are also included for the ultimate living experience. Outside of your home, a private patio/balcony with storage is available to enjoy the great outdoors. 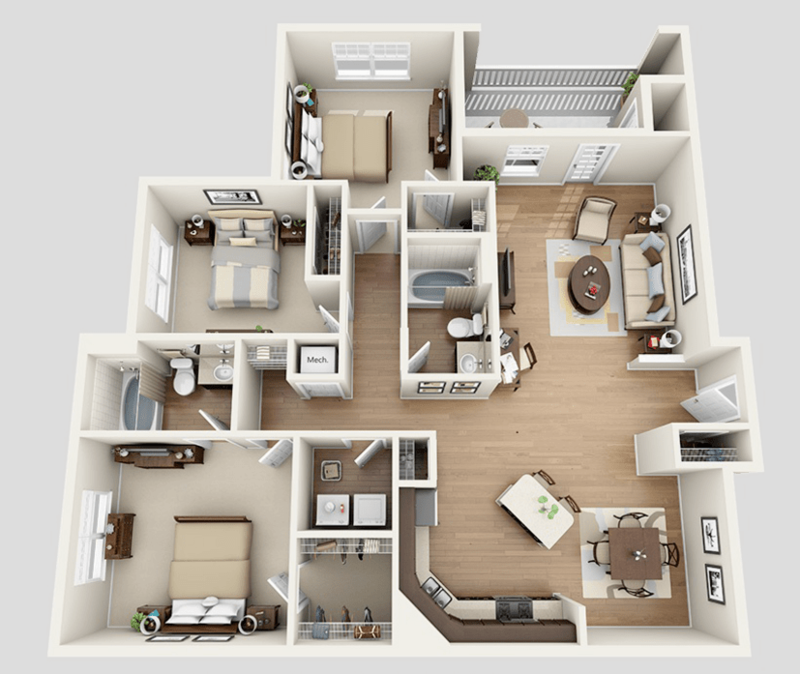 Our largest floor plan offers granite countertops throughout, an elegant kitchen with chef island, 9 foot ceilings, a large soaking tub,custom cabinets with clean steel appliances and space saver microwave, spacious dining area, and vinyl plank flooring, 2" custom blinds, ceiling fan in living rooms. WIth a walk in shower in the master bath and a private patio/balcony, this home is sure to impress. Washer/dryers in select units. This luxurious three bedroom home features granite countertops throughout, an elegant kitchen with chef island, 9 foot ceilings, a large soaking tub in the hall bathroom, custom cabinets with clean steel appliances and space saver microwave, a spacious dining area, and vinyl plank flooring. WIth a walk in shower in the master bath and a private patio/balcony, this apartment home offers the ultimate living experience. Washer/dryers in select units. Experience The Ridge at Hamilton Crossing, one of the most feature-rich communities to grace the scenic city of Maryville. Inside this brand-new community of one, two and three bedroom apartments is a collection of eye-catching designs and well-suited comforts. 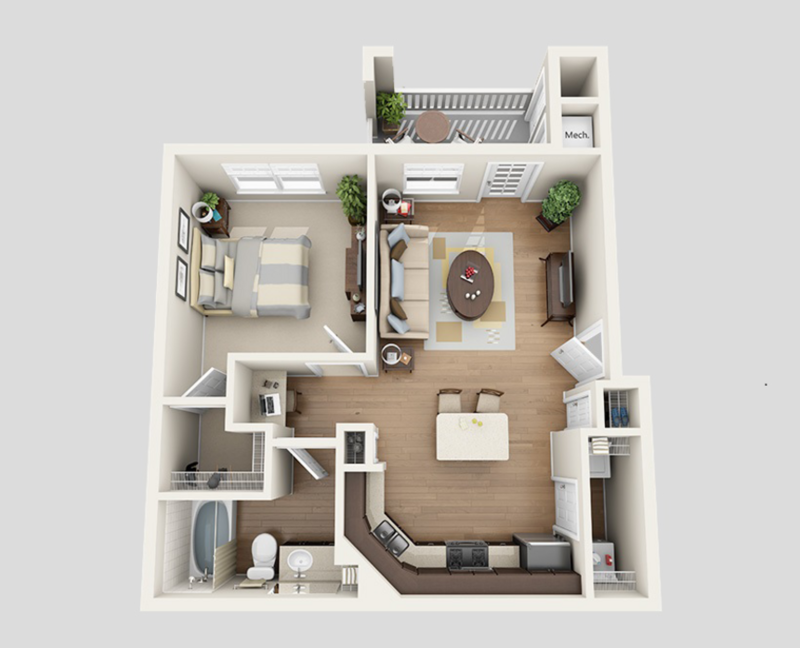 At The Ridge at Hamilton Crossing, quality is a key element that you can see in every room. As sunlight peers through the Venetian window blinds, it illuminates the nine-foot ceilings and polished vinyl plank floors. Prepare breakfast on the granite countertops and stainless steel appliances and serve your creations on the chef islands included in select homes. The built-in computer desks are a detailed addition that allow for the perfect at-home office. After a workout at our state-of-the-art fitness center, create a soothing, aromatic bath inside the large soaking tubs. Homes may additionally include private terraces or sunrooms that you can use as entertainment spaces. With so many luxury comforts, it is easy to see why The Ridge at Hamilton Crossing should be your next home. 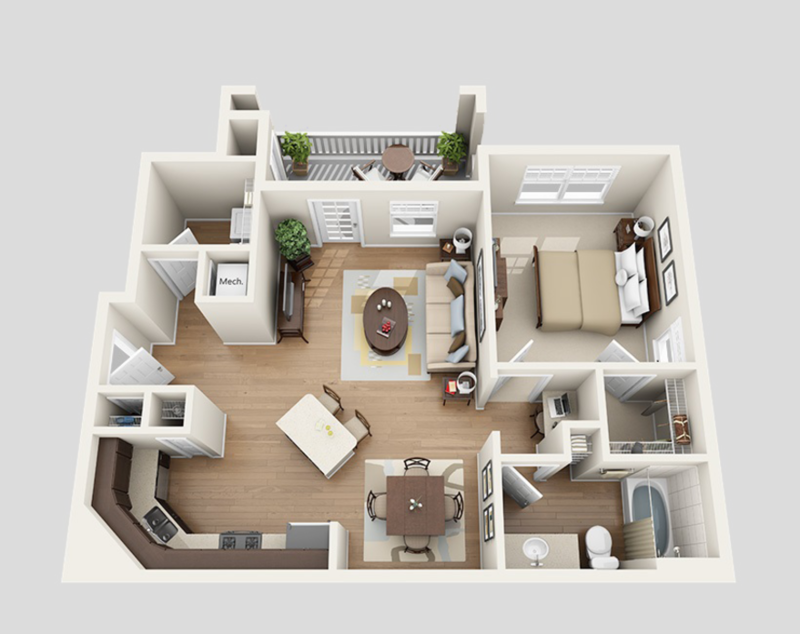 Schedule a tour today and visit this premier community of 1, 2 and 3 bedroom apartments in Maryville, TN.